Could Delta rockets soon be a thing of the past? With as few as 15 more launches on the calendar over the next five years, the rocket name “Delta” that has been serving the U.S. and international customers since 1960 could permanently fade into history. United Launch Alliance, the current maker of the once-Boeing produced rocket, intends to phase out single-core Medium versions of the Delta 4 by 2018-2019, with the triple-body Heavy vehicle continuing for an undetermined period, according to a story that first appeared in Space News on Tuesday. The smaller Delta 2 rocket has just two more launches before its long-planned retirement due to the lack of suitable payloads in the booster’s weight class. The Delta 4 has nine Medium-type flights scheduled through 2020, including GPS and Wideband Global SATCOM communications spacecraft for the Air Force. Also, four Heavy rockets are slated to launch classified national security payloads. 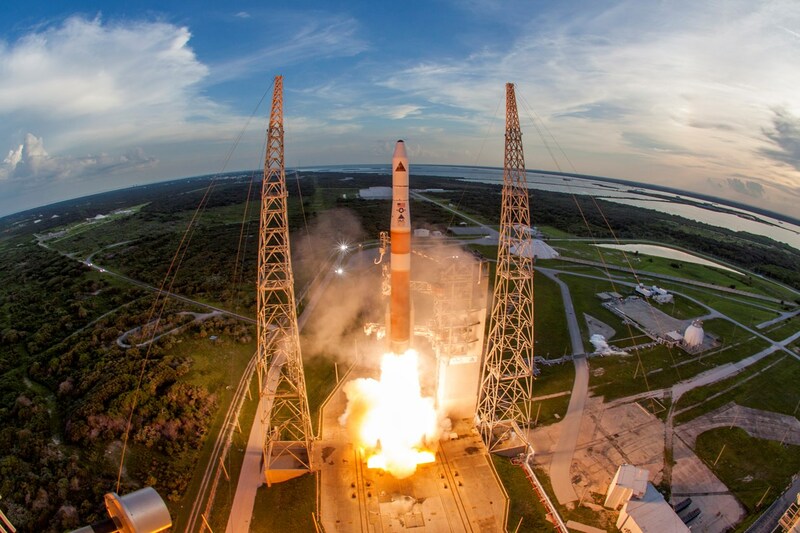 “We’re going to take (out) the redundant, more expensive Delta single-stick-line and fly only Atlas until we have NGLS available and until the government decides they’re done with (Delta 4) Heavy,” Tory Bruno, ULA’s president chief executive, told Space News. What’s more, there’s just two more Delta 4s on the manifest from Vandenberg Air Force Base’s Space Launch Complex 6 site, now the Delta 4 launch pad but formerly the West Coast’s intended space shuttle campus. The pair of missions include a Medium+ this June and a classified Heavy in 2018. At Cape Canaveral, the next Delta launch is planned for March 25 with a GPS Block 2F satellite, the sixth and last such payload flown aboard the Delta 4 since 2010. The future for ULA is the Next Generation Launch System, a yet-unnamed rocket that will be powered by Blue Origin’s BE-4 main engine or Aerojet Rocketdyne’s AR-1. Details about the launcher will be unveiled in April. 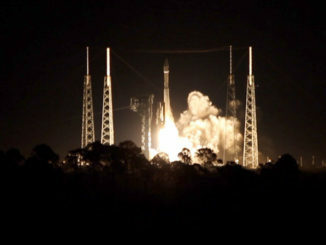 NGLS eventually replaces the Atlas 5 rocket, too, Bruno says, but not at the same speed of the Delta retirement. The new vehicle could be introduced with the BE-4 engine and a maiden launch in 2019, but would not be certified to carry national security payloads until 2022 or 2023. The company also plans to reduce its current number of dual-coast launch pads at Cape Canaveral and Vandenberg — five for Atlas 5, Delta 4 and Delta 2 — down to just two. The Delta 4 rocket — with its five configurations ranging from Medium, Medium+ with strap-on solids and the Heavy — dates back to its commercial development under Boeing and the Air Force’s Expendable Launch Vehicle program in the 1990s. It debuted in November 2002. The rockets have flown 28 times since then, carrying out mostly military missions. The Heavy has launched 8 times, including a test flight in 2004 and most recently with NASA’s Orion spacecraft in December. Under the original batch of Air Force EELV launches, Boeing’s Delta 4 won 19 of the 28 missions under the 1998 competition with Atlas 5. 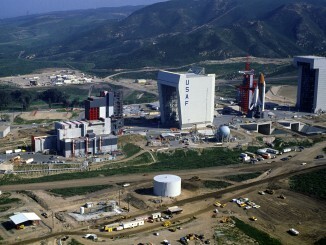 But in 2003, the Pentagon ruled that Boeing acted unethically in the bidding process and stripped 7 launches from the Delta 4 column and awarded them to Atlas 5, plus ordered construction of a West Coast Atlas 5 launch pad that ended the EELV exclusivity of the Delta 4 at Vandenberg. In 2006, Boeing and Lockheed Martin merged their rocket families into a 50-50 joint venture, United Launch Alliance, to assure the government had two viable vehicle lines going forward and to reduce overlapping costs. ULA has launched 93 times to date. 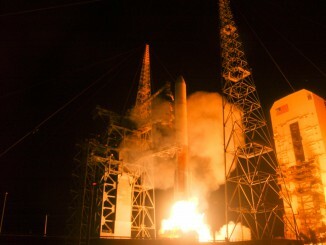 ULA struck a 36-core rocket manufacturing deal with the Air Force in December 2013 that covers the next few years of launch needs, allowing the government to take advantage of price breaks through bulk buying. There have been 80 EELV launches to date, all considered successful by the respective customers. Atlas 5 has done 52 of the launchings. The name Delta has flown 370 times since 1960, its roots from the Thor intermediate range ballistic missile. The vehicle has evolved throughout the generations, serving as a workhorse for 55 years. Delta 2 makes up 153 of the launches and Delta 4 comprising 28. Today, ULA faces intense scrutiny and pressure from Elon Musk’s SpaceX, which is positioning itself to begin competing for Air Force EELV missions once certified to carry national security payloads.